The Law Office of Martin D. Eagan is undergoing a name change as well as an expansion to other parts of New Jersey as it welcomes a new attorney to the practice. Thomas M. Lenney, who has practiced law in New Jersey since 1996, joined the firm, now named Morris County Real Estate Law, Eagan & Lenney, LLC, in July 2018. In addition to real estate, Lenney’s background includes cases related to commercial litigation and leases, landlord tenant and general litigation. “I am excited to bring on a new attorney with a diverse background in real estate and other legal disciplines,” said Martin D. Eagan, Founding Partner of Morris County Real Estate Law, Eagan & Lenney, LLC, formerly the Law Offices of Martin D. Eagan, Esquire. 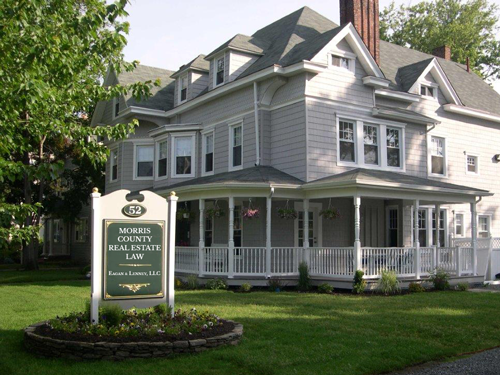 Morris County Real Estate Law is also expanding its reach outside of its headquarters in Morristown, adding offices in Boonton, Hoboken and Somerville.